After a competitive selection process in June, Torry Sound Project is delighted to announce that North East duo Gemma Connell and Angela Main have been selected as Project Artists. To explore this question, in Torry 24, the artists will immerse themselves in all aspects of Torry – staying in the community, recording sounds, finding objects, listening to stories from residents and collecting photographs and film. Using the collected sound material as the heartbeat of the project, they will then produce a 24 hour physical performance of movement and spoken word representing their hourly experiences in Torry. The resulting performance and showcase will take place in Torry in September 2015 and at Seventeen in October 2015. Both performances will be streamed live online. Gemma is a Multi-disciplinary Artist/Curator, Creative Producer and Cultural Strategist, who has worked across the UK for the past 6 years. As a Dance Artist, she has supported internationally renowned rappers Kano and Wiley. Her artistic practice has evolved to form a blend of hip hop, samba reggae and contemporary dance, with a penchant for collaborations with spoken word artists. Gemma has worked with Hip Hop Theatre Godfather Jonzi D, and has been mentored by both Gwen Van Spijk and Vocab Dance’s Alesandra Suetin. From 2010-2014, Gemma lead experimental Dance and Spoken Word ensemble, Broken Rose, to great acclaim, working with Breakin’ Convention and touring across the UK. Broken Rose’s first show, spoken word and dance open stage event Flow! debuted at Contact Theatre in Manchester in October 2011. Gemma is now a freelance choreographer and movement director, as well as Artistic Director of The Artifact; a vehicle for pursuing artistic work that tells stories and shares discoveries. Angela is a trained theatre maker whose experience and passions lie within the contemporary and collaborative process. She has worked with a range of projects, including radio plays for the BBC and site-specific promenade style theatre with Wildworks. Angela enjoys experimenting with multi media as well as pushing her own boundaries as a performer, realising that the approach to the devising process is vital. She believes that live art should be as much as a journey for the audience as it is for the performers; with this in mind she happily embraces opportunity that an only live experience can create. This ensures that her performances are always brave and provocative. 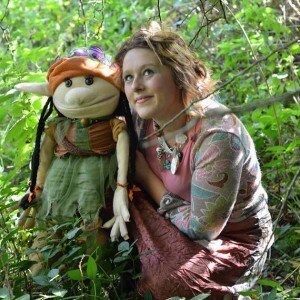 Since moving to Aberdeen from Newcastle, she has worked around the city on a variety of projects from outdoor, site-specific theatre at the Woodend Barn, to facilitating workshops for a youth group in Torry. Her key piece to date is Portal, a piece of performance art shown at 17 in Aberdeen. To view how the artists are developing Torry 24 in the area of Torry over time, please visit Project artists’ blog page!